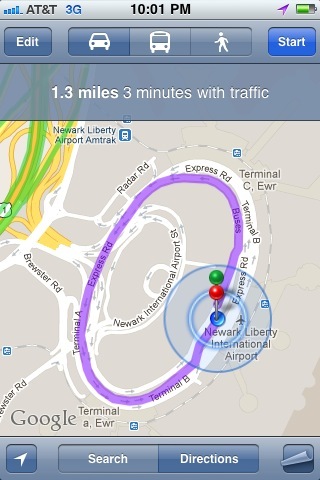 I was picking up my brother Jeremiah from the Newark Airport and was trying to get directions back to my aunt's house. Here is what the iPhone gave me as return directions. This entry was posted in Travel and tagged Directions, iPhone, Newark, NJ by Hugh Paterson III. Bookmark the permalink.